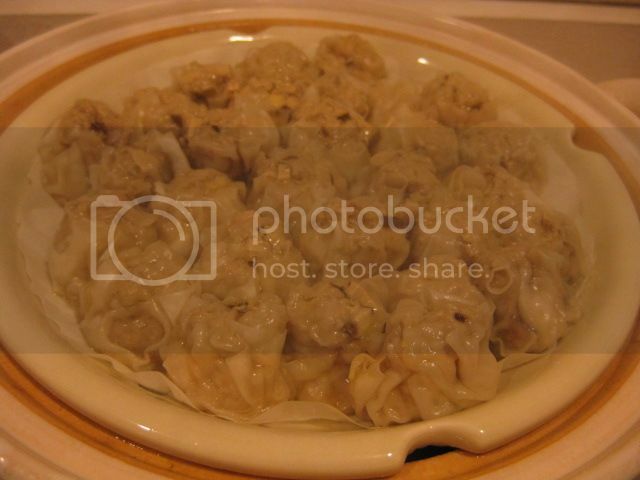 Pork shumai (dumplings) is one of Jason's favorite donabe-steamed dishes, so I make this dish quite often. 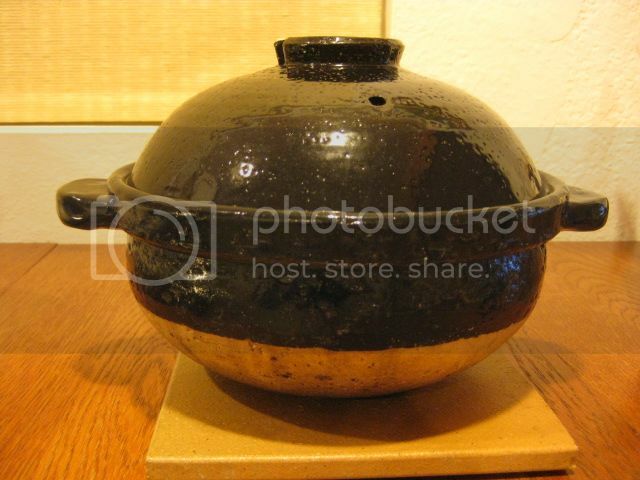 With my donabe steamer, "Mushi Nabe", we can enjoy home dim-sum meal right at the table. There are many variations of the pork filling I do, but here's the standard recipe for the filling. Mix the ingredients until smooth by hand. Cover and chill for 30 minutes. 25-30 wrappers are needed. Wrap the filling in the wrappers, and steam in the donabe for 6-8 minutes or until cooked through. Rinse 1/2 sweet rice (mochi rice) and soak in water for 2-3 hours. Drain. 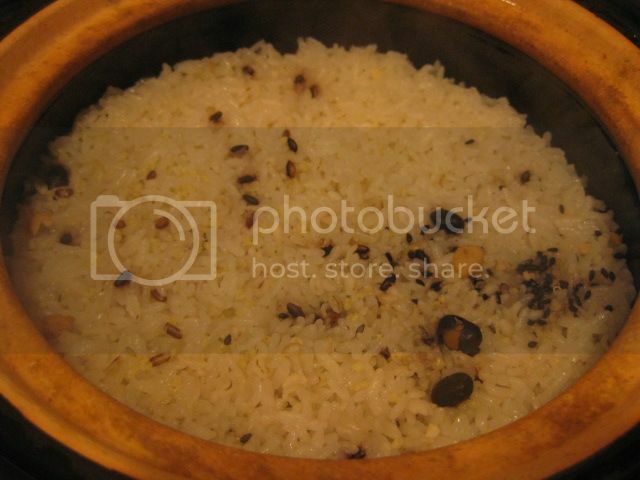 In a bowl, combine the drained sweet rice with 1T sake and 1/4tsp salt. 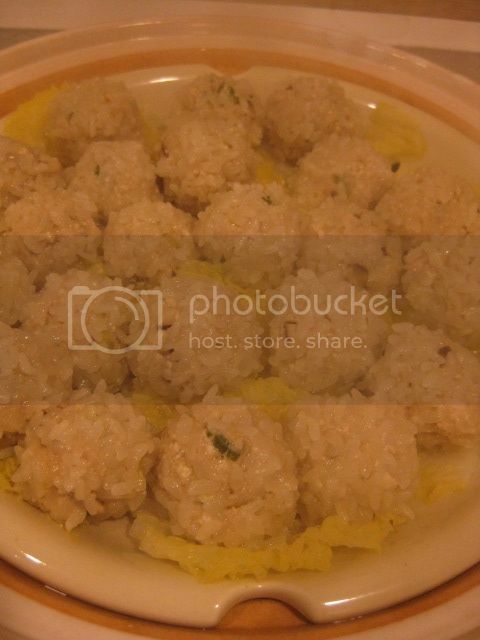 Make the filling into 25-30 balls and roll each in the sweet rice so that it's covered with the rice. Steam for 10 minutes or until cooked through. Both kinds of shumai can be served with soy sauce and vinegar dipping with a little karashi mustard. We also made donabe rice...this time, we got special "Tsuya Hime" rice from Yamagata, Japan. It was a gift and just harvested last month. Cooking the premium rice in our double-lid donabe rice cooker, "Kamado-san", was such a luxury. And, the flavor was superb...waaah, I wish we could have Tsuya Hime rice all the time!